At Marion, Ohio the Chesapeake & Ohio's north/south line to Chicago and the former Pennsylvania Sandusky line (by this time sold to Norfolk & Western) crossed parallel tracks of the Erie and Big Four. 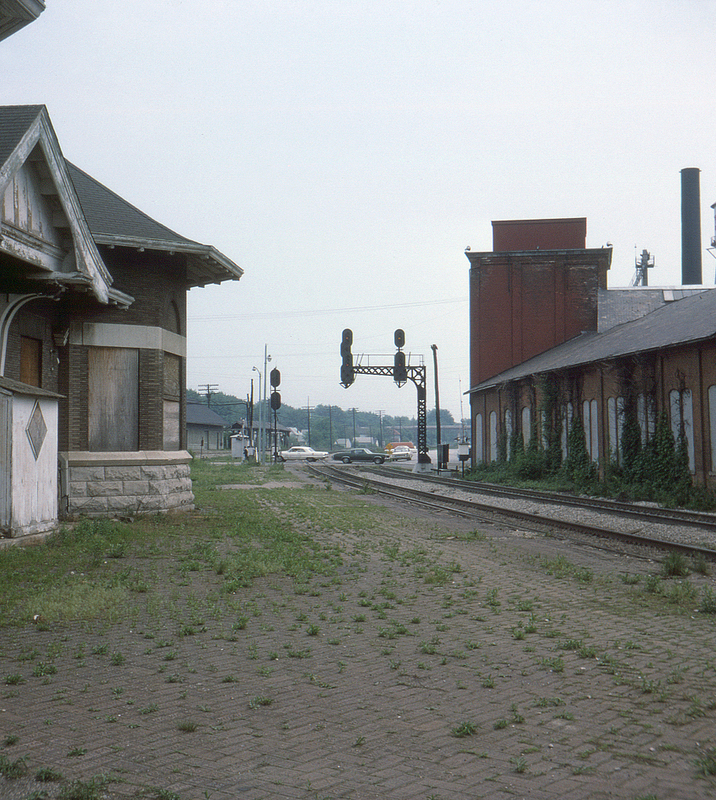 Here, looking south from the diamond crossing protected by the C&O's distinctive color-light signals, is the C&O's mainline; at left is the boarded up Marion depot. Ahead are Columbus and Portsmouth, Ohio, where the C&O will cross into West Virginia.